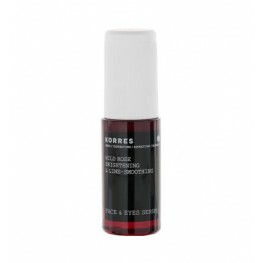 KORRES Wild Rose range of beauty and skin products has been repeatedly recognized by awards in the US, Singapore, Canada, Poland and the UK. 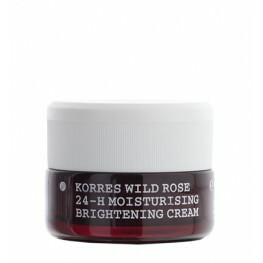 The Wild Rose 24 Hour Moisturising Cream won an award in The Allure A-List for Sephora Top-Selling Product 2009, and remains to be as popular around the world as when it was first launched. The simplicity and effectiveness of this cream makes it a perfect purchase for anyone with Normal/Dry skin, or Oily/Combination skin, looking for softness and radiance. 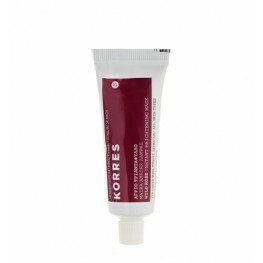 Try with KORRES Wild Rose Exfoliating Cleanser 150ml (£18) for a truly wonderful daily experience! 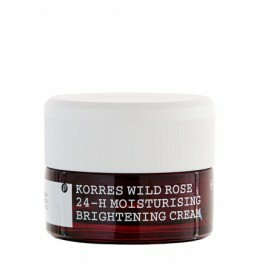 Wild Rose Brightening and Line-Smoothing Serum 30ml ALL SKIN TYPES/ FACE AND EYES An ultr..
Wild Rose Brightening Mask 16ml FOR ALL SKIN TYPES A pure white mask enriched with vitami..
Wild Rose Exfoliating Cleanser 150ml ALL SKIN TYPES A gentle, yet potent exfoliating clea..
Wild Rose Brightening Eye Cream SPF 15 15ml ALL SKIN TYPES / EYES A velvety cream that sh..
24-hour Moisturising and Brightening Cream 40ml Normal to Dry Skin Cream A day cream for ..
Wild Rose 24-hour Moisturising and Brightening Cream 40ml OILY TO COMBINATION SKIN A day ..